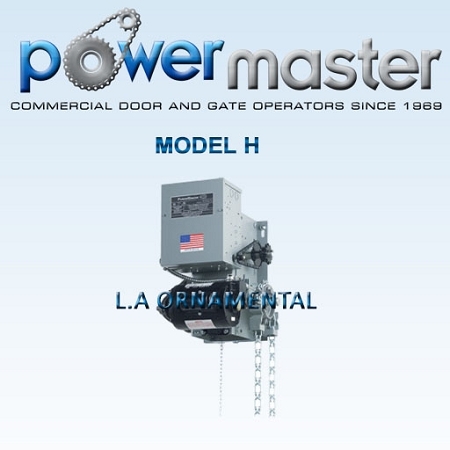 Supply PowerMaster H-52, 1/2 HP, 230V , 1 Phase industrial duty hoist type operator. Primary reduction shall be by heavy duty VBelt Drive. Secondary reduction shall be a chain and sprocket arrangement. 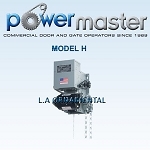 Reduction stages shall be arranged so that mechanism is self locking when torque is applied at output shaft. All reduction shafts shall be a minimum of 1" in diameter, supported by bronze oilite bearings.